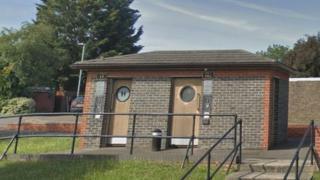 Plans to close a number of public toilets in Reading to save money have been revealed. Reading Borough Council is looking at closing the facilities as it works to save £30m over the next three years. The council said it was looking at shutting "a number of public conveniences" in the town in a bid to save £50,000. The authority said it was reviewing all 16 loos to see how much they cost to run and how often they are used. According to the Local Democracy Reporting Service, a council spokesman said "No decision will be taken until the review is complete and an assessment made in relation to the impact of any closures on the community." The proposals are due to be discussed at a full council meeting on 26 February.